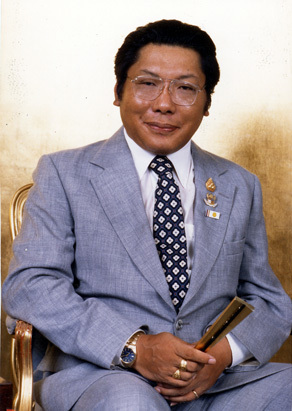 Chögyam Trungpa Rinpoche, aka Surmang Trungpa Chökyi Gyamtso (Tib. ཟུར་མང་དྲུང་པ་ཆོས་ཀྱི་རྒྱ་མཚོ་, Wyl. zur mang drung pa chos kyi rgya mtsho) (1940-1987) — a meditation master, teacher and artist, born in Kham, eastern Tibet. He was supreme abbot—the Eleventh Surmang Trungpa—of the Surmang Monastery, where he received the degree of khenpo at the age of eighteen. His main teachers were Shechen Kongtrul Pema Drimé Lekpé Lodrö, Dilgo Khyentse Rinpoche, the Sixteenth Karmapa, and Khenpo Gangshar. He travelled to the United States in 1970 and is the founder of Naropa University and Shambhala International. This page was last edited on 3 February 2019, at 10:42.